Amazon is a Fortune 500 e-commerce company based in Seattle, Wash. It has the distinction of being one of the first large companies to sell goods over the Internet. In 1994, Jeff Bezos founded Amazon, which launched the following year. If you're of a particular age, you likely remember that Amazon started out as an online bookstore and then quickly diversified by adding other items, including DVDs, music, video games, electronics, and clothing. In 1999, just five years after he started Amazon, Jeff Bezos was named Time magazine's "Person of the Year." He received this honor largely because of the company's success in popularizing online shopping. Amazon.com considers itself a completely customer-centric company. In fact, it has described itself as "customer-obsessed." The company really believes that if it doesn't listen to customers, it will fail. 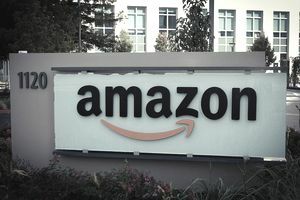 Amazon has stated that it wants to take advantage of any opportunity that presents itself to the company during a time of unprecedented technological revolution. Amazon not only believes in putting customers first but also in ownership from its team. "Ownership matters when you're building a great company," the company has said. "Owners think long-term, plead passionately for their projects and ideas and are empowered to respectfully challenge decisions." Getting a job at Amazon may not be easy (especially since the company prides itself on its high hiring bar). When making a hiring decision, management asks, "Will I admire this person? Will I learn from this person? Is this person a superstar?" While tech companies such as Google Inc. are known for the perks it gives employees, Amazon operates differently. The company believes that frugality breeds resourcefulness and self-sufficiency. As of early 2017, Amazon had nearly 269,000 employees worldwide. It is known for its technical innovations and boasts that its engineers handle complex challenges in large-scale computing. Software development engineers, technical program managers, test engineers and user interface experts work in small teams throughout the company to build an e-commerce platform that's used by customers, sellers, merchants and external developers. Many positions are eligible for relocation assistance through a relocation services provider.